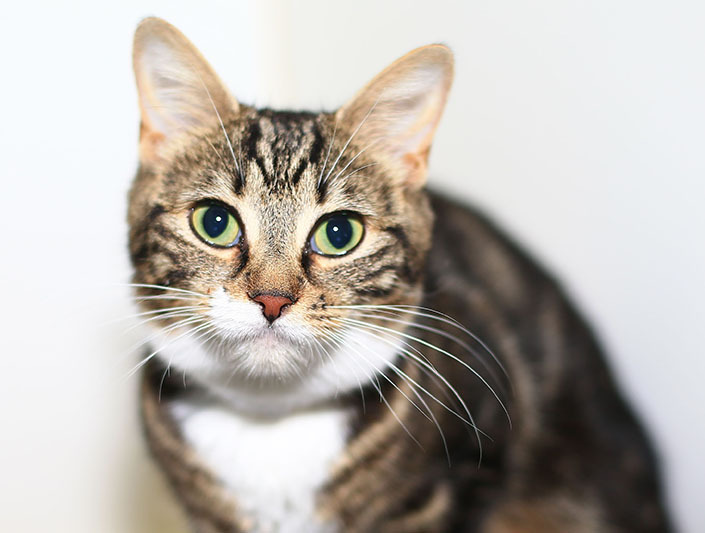 Gracie is one of many felines looking for a new home. Cat and kitten adoptions will stay open until 8.00pm every Thursday for the next four weeks. To help you find your new feline friend, cat and kitten adoptions at our North Melbourne shelter will be open late every Thursday over the next four weeks. On March 22 and 29, and April 5 and 12, our adoptions centre will stay open until 8.00pm. This will give you plenty of time to finish work or study, round up the household and drop in for lots of pats and purrs. With so many felines looking for new homes – and a variety of ages and personality types – there is bound to be a cat or kitten you will fall in love with. Before you drop in to our adoptions centre, you can view cats and kittens available for adoption online. Please note: All other services (eg. dog adoptions, pet reclaims, vet clinic) will close at their normal times.